Summer holidays…..hands up whose excited? Hands up whose feeling slightly hysterical at the fact that we’re one week down, 5 more to go?! While it’s great to spend more time with the kids, holidays do seem to make the whole experience so much more intense. Do you feel that there’s a certain expectation and pressure to do wild, fun, exciting things all the time? I definitely do and this is only my first proper summer holiday experience with my oldest actually having time off school. Already I’m finding it a challenge to find things to do everyday to keep kids from wrecking the house (and each other!) and myself from going crazier while not going broke. Here’s a novel idea: why not go camping in the garden? Did you ever do this as a kid? I remember my brother and I did. At least, I remember the excitement and novelty of being outside for the first part of the evening but I’m not sure we ever actually went through with sleeping out the whole night! If you think that camping in your garden might be just the thing to get your kids fired up , the RSPB has put together some cool ideas for a Big Wild Sleepout. Obviously you can choose whatever night you like to sleep out in your own garden(!) but in the UK, the RSPB is promoting that we get out and about en masse for one night from the 7 – 9 August 2015. There are events around the country if you fancy going all out with a camping trip or they have a handy pack that they send you with fun ideas to try at home in your own bit of wild such as tracking, listening to and identifying night-time creatures, stargazing, outdoor cooking and loads more. If you don’t want to wait for a pack, this list has great ideas of fun stuff to try that you could do right away. you could even decorate the garden with lanterns, and easy arty crafty decorations. I love these mushrooms and the tin man idea is brilliant too! Easy, cheap and different. Along with the fact that there’s always the option of actually going to sleep in a comfortable bed if the tent leaks, camping in the back garden actually sounds like a winning plan! 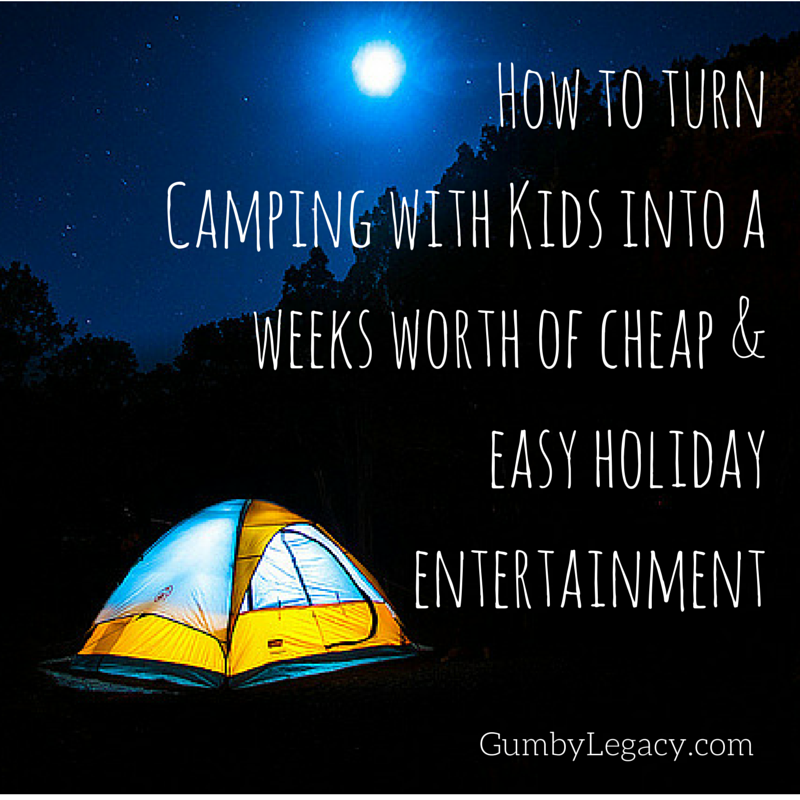 Share this now with any other families you know that could benefit from a holiday camping experience!